Welcome students and parents! Here you will find a variety of resources intended to guide you through adversity, completing high school, and planning after high school for college and/or career. Remember, whatever your passion, it takes effort, planning, and action! We are here to help direct you to the needed resources to be successful in high school and beyond. Information and resources include: high school, college, career, counseling services, community resources, senior year, and post-graduation assistance. Please see a staff member or use Sprigeo to report any information to promote a positive, safe campus for all. Not sure what to do to prepare for college? We want to help! To prepare for college, you will want to decide which college entrance exam suits your needs and college of choice. If Advanced Placement (AP) courses are right for you, you can take an AP exam and earn college credit with a passing score. These are all great ways to prepare for university-level work. Want to play sports competitively in college? Make sure to sign up through NCAA or NAIA by your junior year in high school! Paying for college can be difficult. Financial aid and scholarships can help! The Free Application for Federal Student Aid (FAFSA) can get you started on your way to making your college dreams possible. Application for Federal Student Aid (FAFSA) to apply for aid once you’ve decided to apply for admission and attend college. Start your search for scholarships before it's too late! 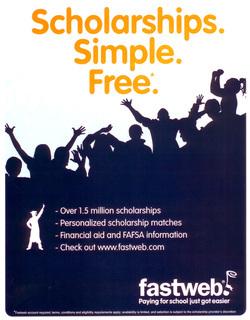 Create a free account at www.fastweb.com today! Scholarships applications are sent directly to your e-mail! You don't have to be a senior to apply for scholarships. Lessen your worries about paying for college and start being proactive now! Reminder: Never pay money for a scholarship! Exploring websites, visiting schools, speaking with experts, and finding the right fit is important. Get started here, and we can help! What University has your major? Not sure what University offers the major you are interested in? 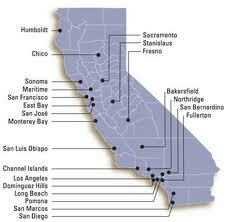 Check out the College & Career Center page to find CA colleges that offer programs that best suit you! The Coachella Valley has its annual College Fair in October. Bring your families and get great information! Career cruising is a great resource to get started thinking about what career best fits your interests, talents and desires. It is a career exploration software program full of useful real-world career information. Check it out today!